In the previous post we discussed the largest piece of the “get content shared” puzzle. That would be the actual content itself. There are other pieces however, that though considerably smaller are no less important. 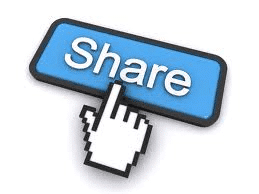 What else can be done to encourage readers to share, pin, retweet, and +1? The visuals are what is seen when something is shared across most social media. Great visuals definitely help get content shared. Facebook and Pinterest are especially sensitive to visuals. In order to catch the attention of those that are seeing a link to your content for the first time from these platforms, the visuals need to do their job well. Do not be afraid of awe inspiring photos or bold, colorful text. It can be as simple as pulling a quote from the content and dolling it up a little with some color and fancy fonts. Just make certain that people will be able to understand what it is about once the visuals catch their attention. Don’t lose the meaning in the moment. When someone interacts with your brand, whether by sharing, commenting, liking, or whatever you should always extend a thank you, offer a comment, or share something of theirs if possible. The “I’ll scratch your back if you scratch mine” mentality is alive and well here, and social media is an itchy itchy world. The more you scratch back, the more they will come back for more if they like what you have. You’ll never know if you don’t ask. Often getting readers to share is as simple as asking them to do so. A blurb at the end that says something along the lines of “If you found this helpful will you please share it?” can get the job done nicely. Make it easy for them by including buttons to the major social media sites so they can simply click and go. This can seem fake, and if the other stuff is done well it shouldn’t be necessary, but it works so it bears mentioning. Offering a discount, freebie, or entrance into a giveaway is a popular way to get shares. It works. People like to get something for a little of nothing, and let’s face it, how hard is it to click and share a few times? Getting something in return is just the push some readers need. It is imperative that you get content shared to survive in the online world now. There is no ignoring social media. It is here to stay, and how much action, or interaction, your brand gets counts. Missed part 1? Click here.